Benson Heights - Convenient To Shopping, I-75, Restaurants And So Much More. 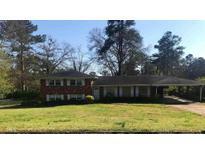 MLS#8554674. Westbravo Corporation Realty. Great Price For This Updated Move-In Ready Townhome! MLS#6528682. Maximum One Realty Greater Atl.. Exterior Maintenance, Water/Sewer, Trash Pickup, Termite Bond, Landscape Included In Hoa Fee. Hurry! MLS#6528306. Triumph Realty Of Georgia, Llc.. Timber Bluff - Contemporary Open Floor Plan- Open, Light & Bright W/ A Screen Porch! Immaculate! MLS#8553939. Re/Max Greater Atlanta - Cobb. 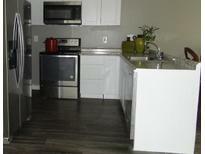 Minutes To Major Hwy'S, Kennesaw University, Shopping. Must See! MLS#8553931. Chapman Hall Realtors. Holly Springs Crossing - The House Sits On Cul-De-Sac , Level Back Yard W/ In Ground Salt Water Pool,2 Open Decks And Covered Porch Ideal For Summer Fun. MLS#8553585. Atlanta Communities. Finished Terrace Level With Theater, Wine Cellar, Bedroom & Bath, Kitchen, Breakfast Area And French Door Leading To Waterfall. MLS#8552810. Keller Williams Atl. Midtown. Park Place - Min To I-75. Fees Include Yard Care/Trash MLS#8552890. Atlanta Communities. Glen Ivy Townhomes - Community Is Gated With A Pool! MLS#6526965. Margavio Realty, Llc.. Enjoy Private, Wooded Community With Pool & Improved Clubhouse. MLS#6527512. Berkshire Hathaway Homeservices Georgia Properties. Welcome Home To This Move-In Ready Home In The Heart Of Marietta! MLS#6526974. Realty One Group Edge. Willows By The River - Level Walk From Parking To Front Door. No One Above You. MLS#6526251. Atlanta Communities. 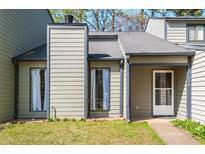 Willows By The River - Close To I-285, Shopping, And Restaurants! MLS#6526891. Village Realty. This Well Kept Community Has A Clubhouse, A Pool, And Is Adjacent To A New Public City Park, The Location Is A Short Walk To The Elementary School, Very Close To Dining, Shopping, Entertainment On Marietta Square, Easy Access To Suntrust Park And I-75, All Appliances Included, Good Schools, Good Location, And Great Price! Community Is Not Fha Approved. MLS#6526261. Virtual Properties Realty.Com. Meeting Park - Retire To A Spacious Owners Suite With Soaking Tub, Large Shower, And Walk-In Closets.Rooftop Terrace Completes This 4 Story Home With Views That Are To Die For.Tons Of Upgrades*Elevator* MLS#6524607. Engel & Volkers Buckhead Atlanta. Buyers Be Warned. This Unit Will Not Last! MLS#6525730. Engel & Voelkers North Atlanta. Rare One Story Ground Level End Unit Condo With Complete Privacy; Backs Up To Woods, Recently Renovated Kitchen, Updated Bathrooms, New Paint And Carpet, Fenced Yard With Deck, Enclosed Porch And Gas Logs. MLS#6526096. Sellect Realtors, Llc..
Split Bedroom Layout With Spacious Rooms! Don'T Miss Out! MLS#6525651. Keller Williams Realty Atl North. Manget - No Detail Spared With This Stunning Townhome Walking Distance To Everything The Marietta Square Has To Offer! Photos Are Representative MLS#6525519. Brock Built Properties, Inc..
Laurel Springs - Swim/Tennis Community In Great School District! MLS#8550646. Savvy Peach Realty Llc. Brownstone Square - This Home Is A Must See. MLS#6525120. Nex Gen Realty & Associates., Llc..
Enclave At Booths Farm - The Subdivision Offers Community Space And Walking Trails. MLS#6525531. Realty One Group Edge.